By Audrey Golden. Apr 15, 2016. 9:00 AM. On April 15, 1931, Tomas Gösta Tranströmer was born in Stockholm, Sweden. Although he passed away in March of last year, this Nobel Prize-wining poet’s legacy lives on in the books and broadsides that reflect a style described in his New York Times obituary of “deceptively spare language, crystalline descriptions of natural beauty, and explorations of the mysteries of identity and creativity.” We’d like to take the opportunity to celebrate Tranströmer’s birthday by looking into some of his most famous (and most collectible) works. Tomas Tranströmer spent most of his early years in Stockholm. In the summers, the Swedish poet would spend time with his mother at his maternal grandfather’s property on Runmarö, one of the islands of the Stockholm archipelago. He began publishing his poetry when he was in his teens, and many of his works appeared in student magazines, according to the Nobel Prize biography. He went on to study literature, religion, and psychology at what is now Stockholm University, and he later worked as a psychologist in a variety of towns throughout Sweden. The poet’s world travels didn’t begin until a bit later in his life. Although he’d spend much time in the United States and other European countries in his later years, Tranströmer didn’t start traveling until the 1950s. When the Nobel Committee awarded him the prize in 2011, it highlighted Tranströmer’s visits to near and far regions of the world, including Egypt, Greece, Iceland, Italy, Morocco, Portugal, and Spain. 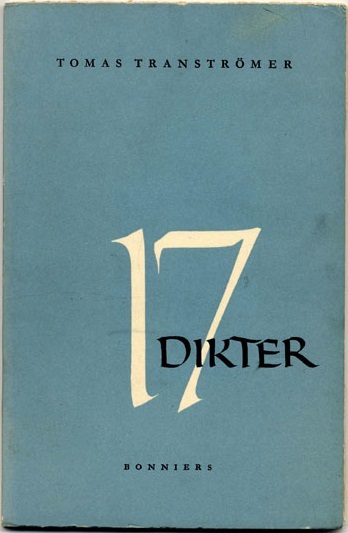 In 1954, his first book of poetry, 17 Dikter [Seventeen Poems], was published by the famous Swedish press out of Stockholm, Albert Bonniers Förlag. First editions of the book are highly collectible. Soon after his first publication, Tranströmer grew very famous among Swedish readers. And it wasn’t too long before the rest of the world began admiring his way with words. For example, when Seamus Heaney learned that Tranströmer had been awarded the Nobel Prize, he said, “I was utterly delighted . . . Everybody was hoping for that. 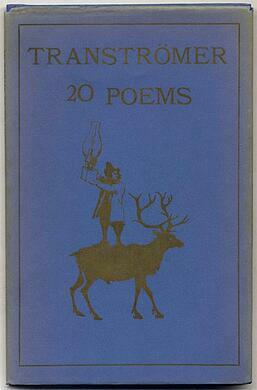 For years.” One of our favorite collectible books in translation is 20 Poems (1970), translated by Robert Bly and published in Minnesota by the Seventies Press. This is actually the first English-language collection of Tranströmer’s work. Given that it’s Tranströmer’s birthday, why not pick up a collection of his poetry to honor his life and work? And if you’re considering one of this Swedish poet’s books to add to your collection, we highly recommend the two books we mentioned earlier: the true first edition of 17 Dikter or Robert Bly’s translation of 20 Poems. But no matter which of Tranströmer’s books catches your eye, we doubt you can go wrong. World literature scholar and erstwhile lawyer. Lover of international travel, outdoor markets, and rare books.